I am using GATK HaplotypeCaller to call the variant, which lies in polyN complex region. It is obvious that the most of the alleles represent T at the position in the attached image, either in original or bamout bam file. However, the vcf file only shows that there are 16 reads representing C while there are only 7 reads for T, which is largely different against the IGV shots. Can @Sheila or others help me to fix the issue? So alignment doesn't necessarily left-align. 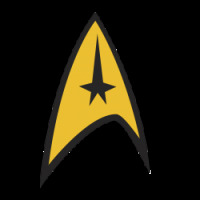 It's my understanding also that left-alignment in representing variants is just something the field (including the GATK and Picard) has agreed on for variant representation. The differences you observe, based on the low complexity of the region, are likely more about polymerase slippage (expansions and contractions of the sequence). If the issue you are encountering is in concordance in the representation of the variant, then you should know there are truth measuring tools out there that can check if variants may be concordant despite differential representation, by mapping the variants back to the reference, and that can optionally suppress zygosity in concordance measurements. A while back, as I helped to develop the RTG-Tools vcfeval portion of our Variant Filtering hands-on tutorial, I learned that the GA4GH also uses (at least at the time) the RTG-Tools vcfeval module towards measuring sensitivity and precision so as to solve for representational differences. In addition to the HaplotypeCaller modes I mentioned to you, IndelRealigner has a mode to realign reads around a variant representation provided in a VCF. Mutect2 calls fractional variants because it is designed to account for tumor purity and heterogeneity. It performs reassembly and I believe will try to be parsimonious in minimizing variants. Finally, I'd like to point out that the functional implications, e.g. protein sequence, of differently represented variants should be the same. So despite the difference in VCF variant representation between the call you are getting and what you see represented in your truth dataset, both should annotate the same with a functional annotator. I'm sorry I cannot be of more help on this matter. I have fixed the issue now. 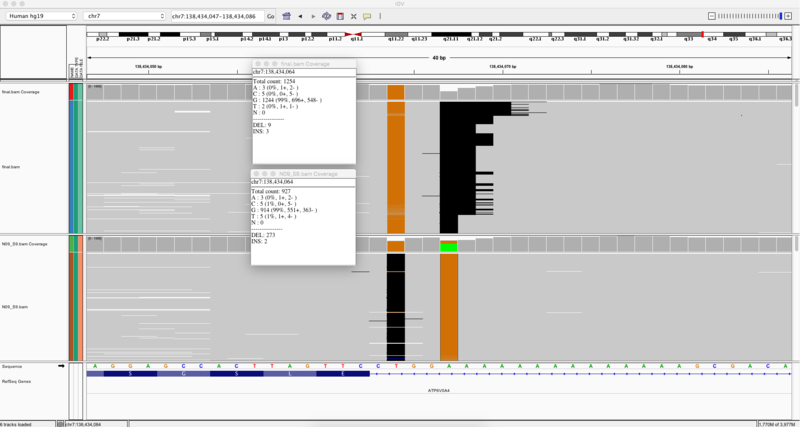 Since I am using PCR to enrich the target region, the reads mapped in the figure above have many pverlapped gap regions, which make GATK fail to call the turth variant. I tried adding --max_deletion_fraction 0.8 in UG, and the variant is called with the right genotypes I expected. However, it seems that it can be only applied in UG, but not HC. And by IGV shots, it is obvious that many reads are mis-aligned, since the gap can be extended after my target SNP, otherwise, half of the reads will be neglected. Any recommendations for bwa or other aligners? Use a high fidelity polymease (Q5 is highly recommended). We had a similar issue for some small repeat regions in some critical genes such as the 5'UTR of UGT1A1. We are looking for TA repeat counts for and using a mainstream polymerase didn't cut the case. We switched to Phusion (We have a huge stock that's why when it is over we will switch to Q5) and now we are able to detect TA repeat count from amplicon sequencing. Another thing to help you is to use str-realigner to help you realign your reads at highly repetitive regions. This helped me in many cases to see the variant clearly. Another suggestion. If you are hundred percent sure about the position of your SNP you may mask that nucleotide with bedtools with N and realign your reads again with BWA MEM. you will notice that TTC's will be aligned properly and gaps will be left normalized. Once the mapping is done you need to call variants using the unmasked fasta file. Thats what I do usually to get the clear picture. Here is an example I worked yesterday. I am sure that the splice site is mutated and T turned to G so I masked that T with N (Actually I cheated by masking with G also instead of N). All Gs were aligned properly and gaps due to polymerase error at the homopolymer is gone. Are you using the latest version of HaplotypeCaller? Can you try adding --interval_padding 100 to your command? You may also check if GATK4 latest beta helps. @Sheila , both adding -ip 100 to GATK3.8 or using GATK4 latest beta did not help a lot. As I said it is a PCR error and must be handled with a high fidelity polymerase with limited number of cycles to reduce the artifacts to a minimum. None of the callers can help solve this issue but the polymerase. Thanks for your comments here @SkyWarrior. I think @asaki we must ask how do you know what is the truth in this case? Low complexity regions, especially those with the same consecutive base, are prone to polymerase error during PCR amplification as well as during sequencing by synthesis (SBS). It may be that your reads encompass true variation but also not. Remember that aligners handle each read independently and so calling directly on a pileup can result in multiple different variant representations for what could be a single variant even in a simple scenario. I go over this concept in the indel realignment tutorial. That is why we then developed processes such as indel realignment and then HaplotypeCaller's pairHMM scoring. I'm not sure if this is helpful but one thing you could do is provide HaplotypeCaller a VCF file containing the allele representation you are looking for. HaplotypeCaller's --genotyping_mode GENOTYPE_GIVEN_ALLELES mode takes the file given by the --alleles option and calls variants based on those in the alleles file. @SkyWarrior , thanks for your suggestion. Indeed, changing polymerase can largely fix the issue, although this is just a comercial kit which I can not change. @shlee , I agree with you. Other than the PCR or sequencing error, the most issue here is the aligment. It seem that the bwa tend to insert gaps that are left normalized. And this is a 1000G cell line sample bought from Coriell. 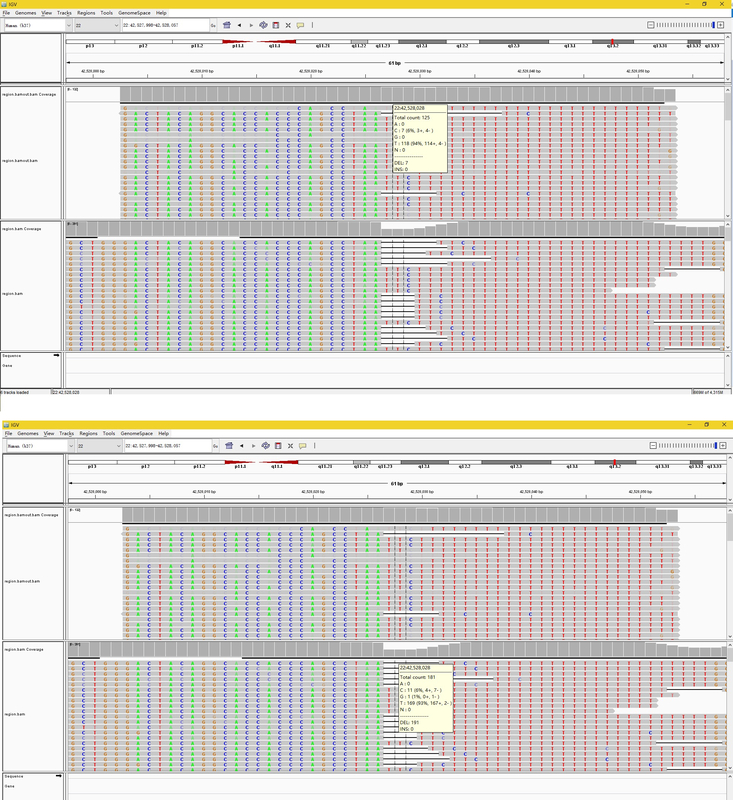 This is a truth variant in CYP2D6, which has already been validated by Sanger and is genotyped as 1/1 in origianl VCF file from 1000G. Both GATK3 or GATK4 can not solve this issue, and local INDEL realignment did not help too. The only solution for me is either using --max_deletion_fraction 0.8, or just directly determine the genotype by clustering.